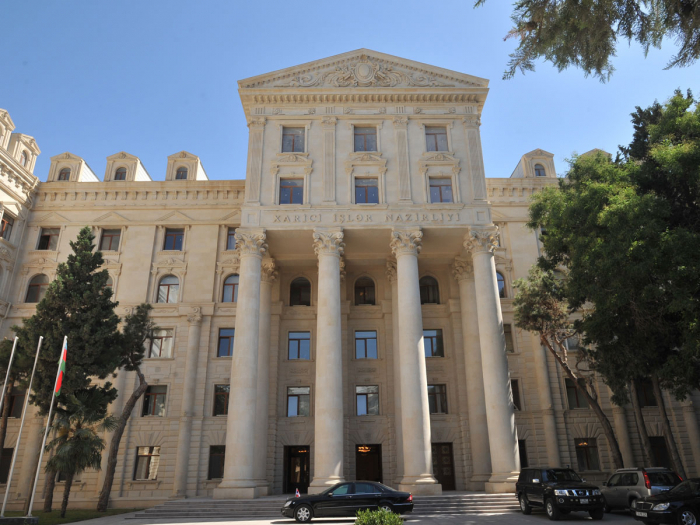 The recent visits of mayors of the French cities of Alfortville and Valence to Azerbaijan’s occupied Nagorno-Karabakh region are gross violation of the norms and principles of international law, as well as the Azerbaijani legislation, Azerbaijan’s Foreign Ministry told AzVision.az. The ministry, strongly condemning these visits, noted that they serve to promoting the illegal separatist regime created by Armenia in the occupied Azerbaijani territories. Such provocative acts of the local authorities violate the letter and the spirit of the agreements signed between France and Azerbaijan, as well as the national legislation of France, the ministry said. “Moreover, such visits are not conducive to the earliest resolution of the Armenia-Azerbaijan Nagorno-Karabakh conflict,” reads the statement of the ministry. “We recall the Circular on external actions of local authorities, signed by the minister of internal affairs and the minister of Europe and foreign affairs of France on May 24, 2018, which obliges the local authorities to respect the international obligations of France and prohibits them from interacting in any form, including concluding agreements, carrying out visits and holding joint actions with separatist authorities which have not been recognized by France,” the statement said. “Once again we draw the attention of the French side to the mandatory nature of this Circular, adopted and acting in accordance with Article 73 of the French Constitution and Article L.1115-1 of the General Code of Local Authorities, and call on them to take all necessary measures for unconditional and immediate implementation of its provisions,” Azerbaijan’s Foreign Ministry said.